"Guys, you won't believe this!" Dandelion the Faerie Wocky dropped her lunch tray down on the cafeteria table, causing some of her mashed potatoes to fly over to her green beans. Ignoring this, she continued, "Alice finally worked up the courage to tell Tiffany that she won't be able to host the annual Halloween party this year. She has to go visit her grandmother who lives in Roo Island. Can you believe that she finally told Tiffany two days before the Halloween party was supposed to happen?" Sunshine the Royalgirl Acara (Dandelion's sister) gasped, dropped her forkful of lasagna, and squeaked with excitement. "What are you guys talking about? Who's Alice?" Maraqua, an Island Kacheek, asked. She, along with Fyora the Usukigirl Usul, were Dandelion and Sunshine's little sisters. "Alice is a Desert Cybunny who holds the annual school Halloween party at her Neohome each year," Sunshine explained quickly. "But since she told Tiffany that she couldn't organize the party this year, then that means that we don't have a host for the Halloween party," added Dandelion, "and I just had this great idea when I heard that..." She paused, hoping to build up the level of anxiousness. "Wait for it..." Sunshine told Maraqua and Fyora. "I told Tiffany that we could hold the party at our Neohome this year!" Dandelion announced, grinning from ear to ear. "This will totally boost our popularity rank. Now all I have to do is ask Jen if we can have the party." "Wait, I thought you didn't like Tiffany," Maraqua said, taking a sip of her grape juice. "I know I said that. But this is my chance to show that conceited Royal Peophin that I can host a fabulous Halloween party." Dandelion looked down at her lunch tray. 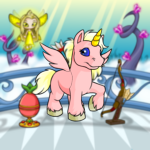 "Here, Fyora, you can have my Earth Faerie Brownie. I have to get started on some party decoration ideas. Since Halloween is only two days away, I've got a lot of work to do." She reached down and pulled out a pink notebook and a purple glitter pen from the outer pocket of her Faerie Backpack. "Yay!" Fyora cheered, reaching over the table to grab Dandelion's brownie. "Mmmm... Jen, have I ever told you that I love eating your Apple Lantern Pie?" Dandelion smiled innocently at Jen as she stabbed a piece of pie with her fork. "Why, thanks, Dandelion," Jen said. She looked puzzled. "However, it comes in a microwaveable box." "Oh." Dandelion blushed, then stuffed the pie in her mouth to hide her embarrassment. Okay, so maybe the flatter-Jen-to-make-her-agree-to-the-party plan isn't going so well, she thought. "Hey, Jen, guess what?" Fyora paused to help herself to another piece of pie. She was famous in the family for having fifth helpings of everything during dinner. "Dandelion, Sunshine, Maraqua, and I are planning to host a Halloween party in our Neohome." "Fyora, you weren't supposed to-" Sunshine began, but then she gulped and looked over at Jen. "Uhhh... what I meant was..." Sunshine glanced over at Maraqua, silently begging her to back her up. And Maraqua did, by lowering her head and fiddling with the red-and-blue striped straw in her Raspberry Neocola. "Thanks for the help, Maraqua," Sunshine whisper-snapped at the Island Kacheek. "I think the Halloween party is a great idea," Jen said. "You have my permission to decorate the house for the party, girls." "Really? Thanks, Jen!" Dandelion hadn't realized it would be that easy. The moment she had gotten home from Neoschool, Dandelion had taken out the trash, cleaned the kitchen counters, and had even helped Fyora with her math homework in order to make Jen feel as if she owed Dandelion a favor. But all of that was past her now, because the next big thing on her schedule was to plan (and host) the best Halloween party of the century. "Okay, here's the agenda for today," explained Dandelion, pacing back and forth in front of her three sisters. "Since it's Saturday, and the party is tomorrow, then we've got a lot of work to do. Luckily, Jen volunteered to take care of the food and the goodie bags. Sending out the invitations and putting up the decorations are top priority on the to-do list." "Maraqua and Fyora, I'm leaving you guys in charge of writing people's addresses on envelopes, sticking stamps on them, and putting the invites in them. Afterwards, Jen will take them down to the Post Office and she'll neomail the invites out." Dandelion handed Maraqua a huge stack of orange envelopes along with the specially-ordered Halloween party invitations. "Sunshine and I will start thinking of cool Halloween decorations for the party." "Okay," Fyora said happily. She and Maraqua started addressing the envelopes in glittery black ink. "Don't you think this is a bit unfair?" Maraqua finished writing Julie the White Gelert's address and slipped the invite inside. "Totally. These invites don't even have any Halloween-themed foods on them," Fyora said, trying to pull a particularly sticky stamp off of her paw. "No, Fyora, I'm not talking about the invitations," Maraqua replied. She paused. "Actually, I kinda am, but it's not the fact that they don't have pictures of food on them. Did you notice that these invites say 'Dandelion the Faerie Wocky and Sunshine the Royalgirl Acara cordially invite...' in them? I thought Dandelion said that we were also the hosts of the party, too." "Stupid... stamp..." muttered Fyora, now shaking her paw furiously. The stamp was barely hanging on now. "I have a feeling that Dandelion and Sunshine are going to take all of the credit for planning this party while we're just the backstage crew," Maraqua said thoughtfully, sealing the envelope with a Halloween Bruce sticker. "So you're saying that Dandelion and Sunshine are planning to perform a Halloween-themed play at the party, and we're going to be backstage pulling the curtains?" Fyora asked, her eyes widening in excitement. Maraqua stared at her in disbelief. She sometimes wondered how Fyora could twist words into something completely different. "Nooo, Fyora," Maraqua explained, "I meant that we're the ones that have to take care of the invitations and whatnot while Dandelion and Sunshine get to plan the exciting stuff. Then they're going to take credit for all of our hard work to make Tiffany jealous. Get it?" She quickly scribbled Roberta the Chocolate Xweetok's address on the front of an orange envelope. "Sort of." Fyora leafed through the numerous Halloween-themed sticker sheets. "Can I use this one?" She pointed her paw at a Vanilla Ghost Cake sticker. "Take it." Maraqua rolled her eyes and tossed Roberta's invitation in the 'Finished' pile. "Ummm, Dandelion?" Maraqua walked over to the Faerie Wocky. "Yeah?" Dandelion's voice was slightly muffled because she was busy searching for something in the Uni's Clothing Shop bag that Jen had just brought home. "I was wondering... What are Fyora and I supposed to do at the party? Aren't we the hosts, too?" "Uhhh... sure." Dandelion reached into the bag again and pulled out two costume sets. "You and Fyora are going to be the waitresses at the Halloween party." "What?" Maraqua tried to peek inside one of the orange pumpkin-printed costume boxes that Dandelion was holding, but the Wocky was too quick for her. "You and Fyora are going to carry around platters of food and candy during the party and offer them to people," Dandelion explained. "These are your costumes. I told Jen specifically what the waitress costumes were supposed to be, and can you believe that she found these? They're perfect for your job tomorrow." She thrust the boxes into Maraqua's arms. "But isn't there going to be a refreshments table? What's the point of walking around all night carrying food if there's already going to be food on the table?" Maraqua asked, still confused. "Maraqua, Maraqua, Maraqua." Dandelion giggled and continued, "Don't you realize that you and Fyora have the best jobs tomorrow? Sunshine and I would be the waitresses, but we're going to be a bit busy greeting our guests. Trust me, it's tiring work. I figured that you and Fyora would want to be the waitresses rather than smile and dish out fake compliments about people's costumes during the party. Am I right, or am I right?" "Fine, whatever." Maraqua turned around and headed up to Fyora's room. Fyora's room was basically a mini Usukicon. Various Usukicon posters were plastered on her walls, and Usuki dolls of all shapes and sizes filled Fyora's three Blue Usuki Display Cases. Fyora practically blended in with her Usukicon-themed room. Maraqua had sometimes wondered if Fyora had ever felt creeped out at night by the numerous Usukis staring at her from the posters and the display cases. 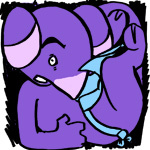 Maraqua plopped on Fyora's Pink Poogle Bed and immediately began pulling the lid off of her costume box. "What's this?" Fyora asked, dropping her Autumn Princess Usuki to the ground and picking up the remaining costume box. "Dandelion wants us to be the waitresses at her party. These are our costumes." Maraqua finally pried off the lid and pushed the orange tissue wrapping paper away. "Oh no." "What's the matter?" Fyora was still trying to get the lid off of her box. "Look at what Dandelion wants us to wear." Maraqua made a face and pulled out a black tunic. It had cheap plastic emeralds for the buttons. She then pulled out a black witch hat complete with a long green witch nose. "Awww, I was hoping to ask Jen to buy me a Spooky Usuki costume for the party," Fyora said, "but I guess I'll be going as a witch." She tried on the witch nose and giggled at her reflection in the mirror. "This calls for a drastic plan." Maraqua thought for a minute, then gasped. "I know what we can do! I just need to grab one of my books from my room. Be right back!" She darted out of Fyora's room. A couple of seconds later, Maraqua came back carrying a large teal book emblazed with strange markings. "Are those pages made out of kelp?" Fyora asked curiously, watching as Maraqua glanced at the table of contents in the book, then started flipping through the pages. "Yes, it helps keep the book waterproof because it's from Maraqua," muttered the Kacheek. "I have a great plan to show Dandelion and Sunshine that they can't just boss us around and make us wear ridiculous outfits. I just have to find the page I need..."
"What book is that, anyway?" "Secrets of Maraqua. Wanna borrow it sometime?" "No thanks. I'm trying to cut down on reading," Fyora replied casually, despite Maraqua's narrowed eyes. "Aha! Here's the page." Maraqua pointed her paw excitedly at page two hundred sixty-two. "'Life During The Rule of Princess Nokia and Princess Allita'," Fyora read. "Um, how's that supposed to help us?" "Princess Nokia and Princess Allita were sisters who ruled Maraqua a long, long time ago. Evidently, according to this book, Princess Nokia was a Kacheek and Princess Allita was an Usul," Maraqua explained. "Maraqua, that's really interesting info, but how is this related to your plan?" "Well, isn't it obvious? We're going to dress up as Princess Nokia and Princess Allita's ghosts for the party," Maraqua explained excitedly, "Of course, first we'll have to wear those witch costumes, and while Dandelion and Sunshine are busy talking to their friends, then we'll sneak up to our rooms, put on our ghost disguises, and scare everybody. We're going to make this a Halloween party that everybody will remember... only for all the wrong reasons." She smiled mischievously. "So let me get this straight. We're going to be witch waitresses for the beginning of the party, then we're going to be the ghosts of the princesses in order to ruin the Halloween party?" asked Fyora. "No, Fyora, that's... correct." Maraqua raised her eyebrows. "Wow, I never thought I'd say that."